Medium-sized, cupped blooms of apricot pink with a light, sweet scent. 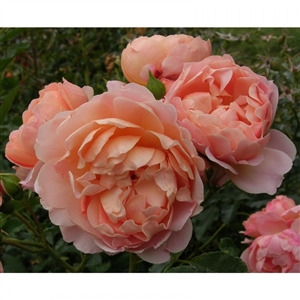 Masses of flowers all season and particularly suitable for a container, being slightly smaller-growing than average..
Beautiful, full blooms in a soft apricot pink adorn this neat floribunda all season long. 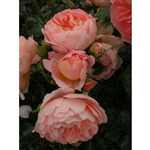 Highly suitable for container growing, being 60cm tall and the same wide.